The No-Diet Approach to 2012: Who loves to eat and is tired of the idea of dieting? Here’s a solution I can live with: Love what you eat and look good doing it. 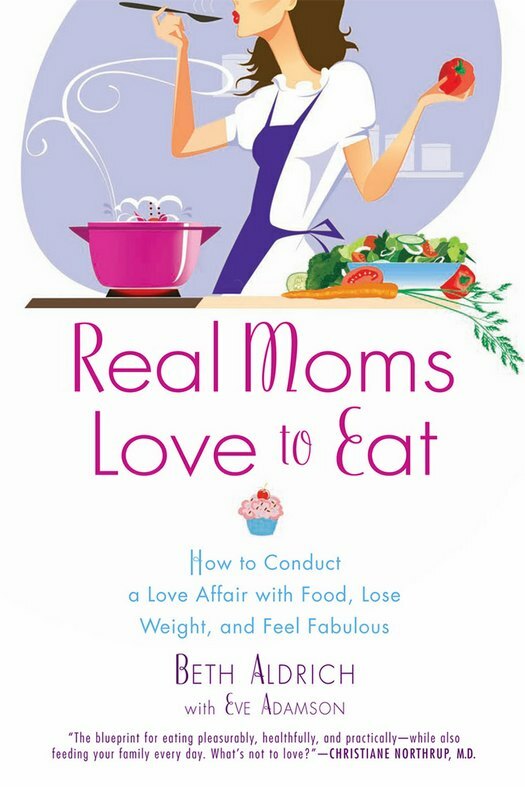 Enter to win one of three copies of Beth Aldrich’s new book, Real Moms Love to Eat: How to Conduct a Love Affair with Food, Lose Weight and Feel Fabulous (Penguin Books, NAL, January, 2012). She leads us to a self-discovery of the foods we already have deep connections with (or cravings for) and helps us moderate and integrate them into healthier versions of themselves; she’ll acquaint you with new, delicious foods that may even change your whole food attitude. Complete with 100 pages of lick-the-back-of-the-fork delicious recipes, you’ll be saying hello to those skinny jeans hidden in the back of your closet AND that dessert on date night! To find out more about Beth, her book and her blog, visit, RealMomsLoveToEat.com. (Book available where ever books are sold and at Amazon.com or Barnesandnoble.com). Three (3) lucky LAB readers will receive signed copies of the book! Tweet this message: “Hope I win the Beth Aldrich’s @realmomsluv2eat signed book giveaway from ladyandtheblog.com (@verasweeney). RT to Enter #contest #giveaway”. Fan Real Moms Love To Eat on Facebook and leave this link on their wall saying you are entering the signed book giveaway on ladyandtheblog.com. Previous Post: « So, Did The Giants Win? I left my email and name on the entry form.